Can You Save Seeds from Hybrid Plants? Lisa Lynn October 28, 2013 March 28, 2018 26 Comments on Can You Save Seeds from Hybrid Plants? 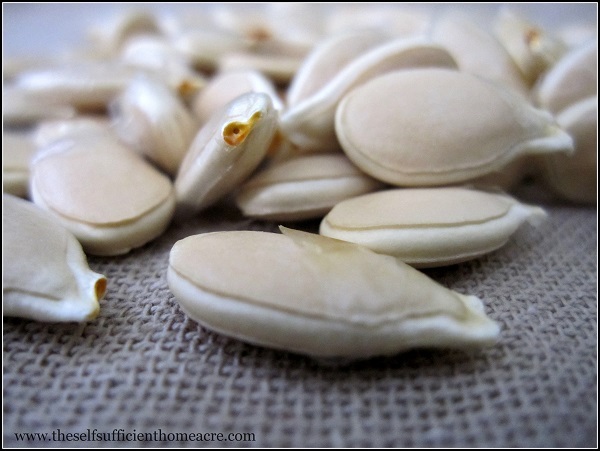 There is quite a bit of misinformation out there about saving seeds. Again and again I read the pronouncements online that you can’t save seed from hybrid plants. This simply is not true. 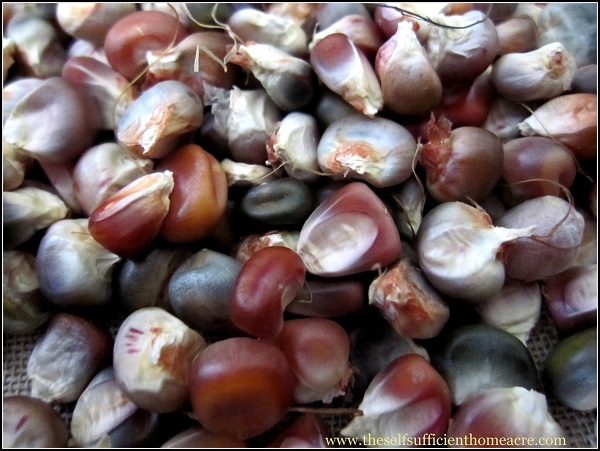 You can save seed from hybrid plants or from plants that have been cross pollinated. It is important to note, however, that the plants you grow from these saved seeds will carry the genetics from both ‘parents’ and may display different characteristics than you are expecting. 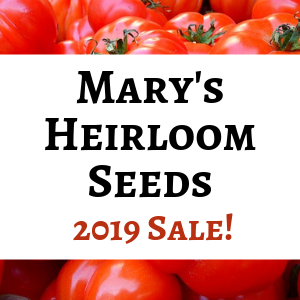 If you are interested in growing heirloom seeds that grow true to type each year, check out my post Seeds for Self Sufficiency. Although most gardeners like to know what they’ll get when they plant seeds, there are pros to planting the seed from cross pollinated and hybrid plants. For starters, you could come up with a brand new variety of pumpkin, radish, or green bean. Plant breeders have worked for ages to develop new varieties of fruits and vegetables that produce better, resist disease, and bear earlier. Although the prospect of developing new varieties of plants sounds pretty exciting, it is likely that you’ll grow quite a few less than desirable veggies in the process. Many seeds available are hybrids (plants with two or more parent varieties) that bear earlier, produce more, or hold their quality longer in shipping. When you plant the seeds from these hybrids, the new generation will revert back to the parent varieties. These may not have the best flavor, production, or space saving qualities. However, if you save the seed from the best plants each year, you can eventually come up with a brand new variety. Once the offspring continually show the same characteristics of the parents, you have a new variety. Many preppers purchase and stash away a myriad of heritage, or open pollinated, seed varieties in anticipation of the collapse of society. Their plan is to start growing and saving heritage seed varieties when the grocery stores are closed and food is scarce. I think it is a good idea to keep extra seeds on hand, but I think it is a much better idea to grow a garden every year, save seeds from your crops, and develop new varieties that are better suited to your growing conditions. First, many seeds only have a shelf life of a few years and then the germination rates decrease dramatically. Parsnips are a good example of this. I have had extremely poor germination from parsnip seed I’ve keep for more than one year. So if you do wish to stock up on survival seeds, I suggest purchasing them in an airtight container that seals out moisture. If you open the package, pop a silica gel packet (desiccant) in before resealing to help prevent any damage from humidity. Second, there is a learning curve when you start gardening. It takes several years to gain the experience needed to grow enough food to sustain your family. So preppers should seriously learn the skills rather than just saving up boxes of seeds in hopes that they’ll have a great first garden. The best course of action is to start gardening and learn the skills needed to raise, prepare, and preserve your food. Each year seed should be saved to plant a garden the following year. Some crops are biennials and the seed can’t be gathered until the second year of growth. For these plants, some seed should be planted each year and some of the crop should be left in place to grow and produce seed the following year. All of these grew from my compost, with the exception of the Red Kuri squash on the right. 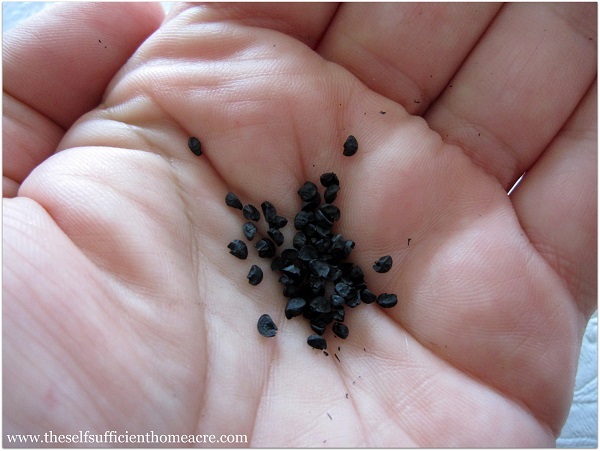 There is a lot to learn about saving seed from your garden. It takes time and energy to selectively breed for new varieties. But saving seed from hybrids and cross pollinated plants will often produce a crop of edible fruits and vegetables. Every year I have volunteer plants that sprout from my compost pile and the results are often very tasty. So don’t listen to nay sayers that tell you that you can’t save seeds from hybrids. It’s just not true! 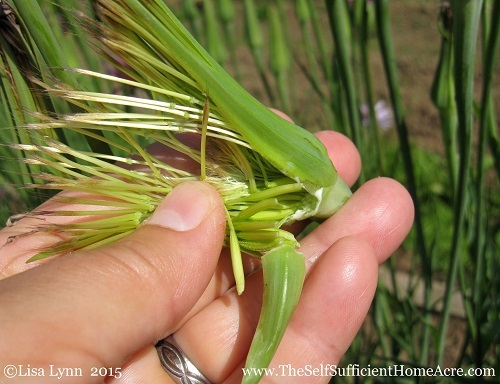 Do you save seed from your crops? 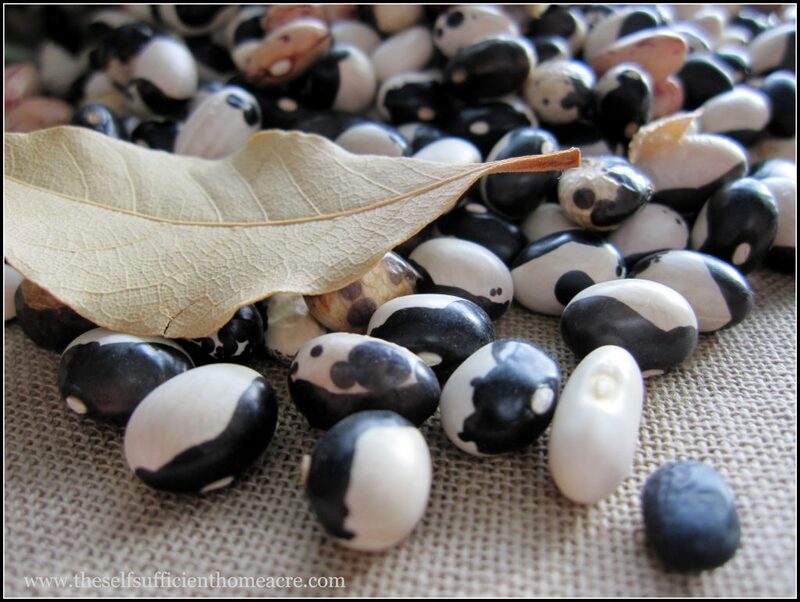 Have you ever saved seed from cross pollinated plants? Were you happy with the results? I am growing the seeds from Butternut and Kabocha squash I purchased in the supermarket. I’m assuming they are a hybrids. Right now the Kabocha squash his growing wildly fast with flower buds every 8 to 12 inches. The Kabocha vine is twice the size of the Butternut and they are both being grown in a large containers (plastic storage container 18x 18x 22) with a 4ft wide and 6 foot tall wire trellis. The anticipation of what will grow on these vines is killing me! LOL! I hope the fruits are edible and of reasonable size. Any thoughts on these supermarket variety squash and what their seeds may bring? The parent varieties were likely picked for flavor, shipping and storage qualities…so, hopefully you will end up with squash that have many of the same attributes. Since most vegetables grown for the supermarket are planted in huge fields of monoculture, the squash you bought were most likely pollinated by the same squash, which means you are more likely to get squash that are quite similar to what you bought. If you wish to limit the growth of the plant that is growing really long, and increase the likelihood that the fruits will mature before frost (if you live in a northern area), then you may want to pinch off the end of the vine after you get a decent number of female flowers. That way the vine will put its energy into finishing those fruits instead of going for maximum numbers of fruit. be pretty knowledgeable about gardening. What’s the best herbicide to kill a garden full of various types of plants? Unfortunately, most herbicides will also kill your vegetable plants. I like using mulch to suppress weeds in between rows. You could also use black plastic. Hello guys, would just like to pick your brain on Corn Hybrids and supplying a continuous strain for high yield productions? Anybody with any knowledge in this area please respond. I’m sorry, I don’t have info about saving seed from hybrid corn to continue a high yield strain. I would expect that it would be easier to find an heirloom variety that is productive and keep saving seed from that. Otherwise you would need to experiment for quite a few years with individual hybrids. Best wishes and thanks for reading! How did heirloom plants become heirlooms? It’s because someone found a variety they liked and planted the same seeds year after year without crossbreeding. A plant from a saved hybrid can become an heirloom if you sow a lot of seeds and only keep the seeds from the best plant each year. My botany teacher said it would take about 7 years of doing that to get seeds that would breed true. You have to have a lot of patience to do that, but it would be an interesting experiment. Thanks for sharing this info, Linda. One of the reasons I wrote this was to let people know that they could plant hybrid seeds and get food from them, just in case there is ever a time when we can’t get seeds from the store. We have some of the best watermelon hybrid varieties in Kenya which are very expensive.Its good idea to learn that i can save seeds from previous crop for replanting next season. Just remember that seed from hybrids will not have all the same qualities that the parents had. Hope you have some great new watermelons! You would need to cross breed two varieties of dahlia and save the seeds to plant. Most people buy dahlias as tubers (at least here) and so they are propagated asexually by tuber production more often than by seeds. But I’m sure that you can save hybrid seeds as long as you don’t have varieties that are sterile. Best wishes! New to gardening (sort of) here. Looking to plant from my own seeds. I have volunteer plants coming up this year from my raspberry plants. Now I’m afraid I originally bought a hybrid raspberry. That wouldn’t be good. Usually raspberries form new plants from their roots (suckers) or from their stems when they are on the ground (layering). These are both forms of asexual reproduction and the new plants will be clones of the old plant. They will be genetically the same and will bear the same fruit. If you had seeds that germinated from a hybrid raspberry, they will most likely produce fruit and the fruit will be fine to eat. You might even have a new variety 🙂 I wouldn’t be too worried about them being hybrids. I’ve had a lot of volunteer tomatoes too and you’re right…they can be such strange shapes and sizes. I’ve used them to cook down for sauces and soups. Missing tomatoes right now! One year I grew several hybrid varieties of tomatoes. I had everything from cherry tomatoes, plumb tomatoes to big beefsteak tomatoes. The next year I had a slew of little “volunteer” tomato plants come up so I cultivated them to see what I would get. I ended up with a very strange mix of characteristics. Most commonly, I had tomatoes that grew in clusters like cherry tomatoes, but were too big to use whole in salads and too small to slice up for a sandwich. I even had some plumb-shaped cherry tomatoes! They all tasted good, but they weren’t very practical. They sound yummy! Some tomato plants have those kind of leaves. They are in the same family as potatoes. 🙂 Thanks for sharing! Great points all! We shared with our FB readers at homesteadlady.com. I don’t save seeds from hybrids, but just out of curiosity I sometimes leave a volunteer seedling to see what happens. I’ve found that volunteer tomatoes produce poorly here, but volunteer winter squash sometimes do extremely well. My best producing winter squash vine was a volunteer growing out of the compost several years ago. I let volunteers go wild in my compost too. 🙂 I’ve had pretty good luck with some of the tomatoes this year. I had a bunch of grape type tomatoes that just went gangbusters and tasted great! That’s interesting that your best producing squash vine was a volunteer! Thanks for sharing! Hi Nancy, Sometimes they won’t…but usually I do get germination. I switched to growing only heirloom and organic seeds (non-hybrid) many years ago for several reasons, but specifically for saving seeds. From my own experience, saving hybrid seeds wasn’t worth the time because they won’t grow true, or often won’t produce fruit. I have had very poor germination rates and yields with seeds saved from hybrids, and the characteristics I ended up with weren’t appealing to me. I switched to heirlooms several years ago and have had great success saving seeds. I have experienced higher germination rates, and they are less susceptibility to pests and diseases and are better tasting varieties. Heirlooms are heirlooms for a reason, it’s because people loved them enough to grow them year after year and they produced well. Heirlooms have adapted to the environment, that’s why they are tolerant and grow well. For me growing hybrids, especially to save seeds, is a waste of time, especially if your goal is to get high yields and grow crops for specific characteristics. If I am saving seeds from a variety I like it’s because I want to end up with the same variety again, not to discover a new one, that’s just my preference. Thanks for sharing your experience! My main reason for writing this was to let people know that it’s hogwash that you just can not save seeds from hybrids or cross pollinated plants. There are downsides to trying this, but for those who have the room, patience, and a bit of curiosity, it is possible to raise a new variety from hybrid or cross pollinated plants. I know, because I’ve done it and had some good results and some crummy results too. For most people, heirloom seeds make the most sense if they want to save seed for the next year.